who wouldn't wash her face. Patience certainly does pay off. But here is a great example. Our compost bin was really more of a compost heap. what I would call crates for lack of a better term. They were almost like 4 pallets strapped together. I should stop and ask for one. but I wouldn't just take one. but farther up river on the side of the road near private property. It had obviously fallen off of their truck. I figured they didn't come back for it so must not have wanted it. I stopped and picked up this roadside litter. We have already been using it. just so it's not such an eye sore. we received a wonderful "new" compost bin. but it will take us a while to fill this one. 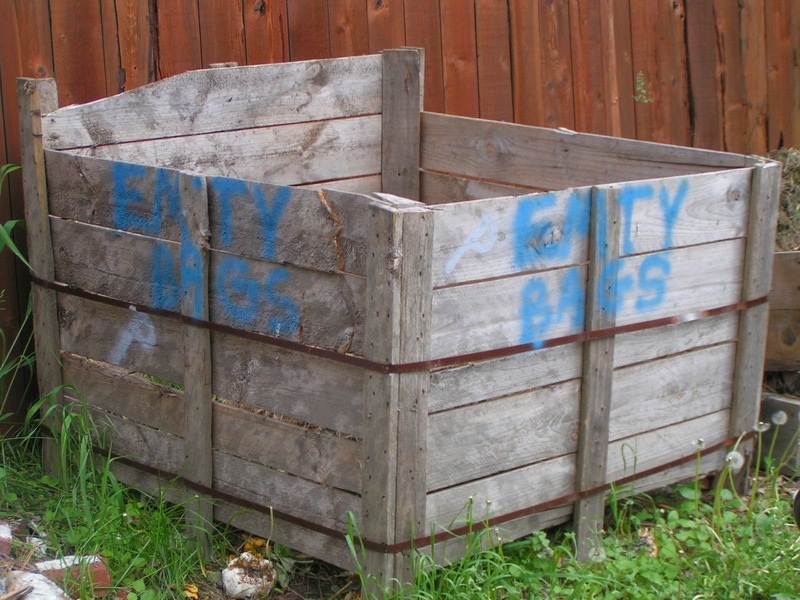 I have a compost bin just like this one. It once held a riding lawn mower. Perfect for the job ! I love roadside finds and that IS a perfect compost bin! Patience does pay off ;) WHEN we have it! What a great find, I love to repurpose items. Thank you for sharing with the Clever Chicks Blog Hop! I hope you’ll join us again next week! The road to my place is farther, but we have a bin you could have! What a great idea!